An investigation into the reasons why Americans can't solve big problems anymore. Last episode, we talked with Joe Trippi, who played a key political role in the 2004 Howard Dean campaign, which was the first Internet-driven campaign. This week, we have Nicco Mele, who was part of the team helping to run Dean’s cutting edge digital operation. Nicco has had an eclectic and distinguished career for someone who is only 42. He has been deputy publisher of the Los Angeles Times, and is now the director of the Shorenstein Center on Media, Politics and Public Policy at the Harvard Kennedy School. “Radical connectivity is altering the exercise of power faster than we can understand it,” he wrote. Now, he says, many of the dark prophecies from his book have come truer than he had anticipated, and there is a long way to go to repair the damage. “In many ways since I wrote the book things have come more apart,” Mele said. We are stuck, currently, with a reality where there are “two worlds” existing side by side as it relates to power and influence, he said. There is the old institutional world, where hierarchy, experience, expertise and tradition are core values. And there is the new connected world that is tearing down the old, where power and influence are far more diffuse and broadly shared. The two need to be connected and fused, he said. As I thought about Mele’s comments, it put the candidacy of Democratic presidential candidate Pete Buttigieg in a new light. I have been skeptical that someone as young as 37 can have the experience needed to run the executive branch. But the paradigm that Mele and I explore here is food for thought to push back against that skepticism. Mele in fact talked at some length about this to Vanity Fair’s Peter Hamby in a piece that ran in December, which I recommend. Joe Trippi is one of the most experienced consultants in Democratic politics. He's worked on campaigns in six of the last 10 presidential elections. He helped guide Howard Dean's historic 2004 candidacy. He's been a longtime adviser to Jerry Brown, one of the most consequential Democrats of the last half-century. And he helped Democrats win a Senate seat in Alabama in 2017 for the first time in two decades. Trippi says that in 2020, Democratic voters are going to be pragmatic and not purist, precisely because they want to beat Trump so badly. And he talks at length about the ways in which there are “laws of gravity” to a primary that will reduce the field dramatically after the first contest in Iowa. The Kennedy family is one of the most legendary in American political history. It has long been involved in efforts to combat mental illness through public policy since President John F. Kennedy, spurred by the botched lobotomy on his older sister Rosemary, made it a focus of his presidency. Rep. Patrick Kennedy, D-MA, became a vocal proponent on the issue after disclosing his own battles with bipolar disorder and with drug addiction, and remains an advocate on the issue now that he is out of Congress. And now, Rep. Joseph Kennedy III, D-MA — the grandson of former Attorney General Robert F. Kennedy — has made mental illness a focus of his legislative efforts now that Democrats are in the majority for the first time in his six-year congressional career. Kennedy’s push for mental health legislation is an example of his approach to seeking solutions while in the House majority that take advantage of their ability to control the agenda in half the Congress, but are more than just public relations proposals that cater to the Democratic base which have no chance of actually passing into law anytime soon. We discussed his approach to being a member of Congress, and how that contrasts with the more performative style of much in American politics, whether it be President Trump himself, or the new celebrity stars of Congress such as Rep. Alexandria Ocasio-Cortez, D-NY, or the image-driven, substance-free phenomenon surrounding Democratic presidential candidate Beto O’Rourke. He referred to the Green New Deal as an “aspirational” piece of legislation, in contrast to legislation that actually can pass into law now. "I do think that as you turn those values into policy, this is about building coalitions,” he said. “That's the way that this discourse is supposed to work and yeah, I would love to see more of that rather than a, ‘Just because I can, I will.’"
He said that the calls by some Democrats – including some prominent presidential hopefuls – to increase the size of the Supreme Court are an example of a zero-sum approach to politics that he doesn’t believe in. But he also talked about the frustration of dealing with a Trump White House and a Republican Senate led by McConnell that doesn’t respect established process — as in the case of McConnell’s refusal to give Merrick Garland a vote for the Supreme Court in 2016 — or the legitimacy of the Democratic party’s voters and interests. When President Trump said there were “very fine people on both sides” after white supremacists and neo-Nazis marched in Charlottesville, Sen. Tim Scott spoke up. He called the president’s comments “indefensible” and said Trump had “compromised” his moral authority. That prompted a call from the White House, asking Scott -- a black Republican who in 2012 became only the seventh African-American to serve in the U.S. Senate -- to meet with Trump to talk about the issue. There, Scott said, he talked the president through issues of racial discrimination and explained why he found the response to Charlottesville so offensive. "What can I do to be helpful?" Trump asked Scott, according to the senator. Scott was ready with an answer. He had been working on an idea called “Opportunity Zones,” designed to attract significant investment and capital to low-income areas through tax breaks as long as the money stayed for 7 to 10 years, and on the condition that it go toward creating something new that would bring vitality to those areas, such as new housing or retail. The question now is whether this program, which was signed into law as part of the 2017 tax cut bill, will work as intended. Scott and I talk about that, and more, including his views on whether he agrees with the Democrats’ move to reinstate preclearance as part of the Voting Rights Act, in this episode of the Long Game. Jennifer Palmieri has been one of the party’s most influential operatives for the last decade. Most recently, she was communications director and a senior adviser to Hillary Clinton during the 2016 presidential campaign, and came to that job after serving as White House communications director under President Obama for two years. As Jennifer told me during our conversation, Clinton’s loss to Trump was like “the universe exploded.” As part of the soul-searching process in the wake of that loss, Palmieri has been spending more time in the South since the 2016 election, to visit with and meet people who see the world differently, and to reconnect with old friends who are politically conservative. Palmieri explores her own sense of loss and disorientation after the election. But she also tells the story of how her grief was compounded by the loss of her older sister a few months after the election from early onset Alzheimer’s at age 58. Palmieri connects her own pain to the pain of other Americans whose lived had been upended in recent years, namely Trump voters, and says the 2020 election will be a test of whether Americans can come to live at peace with those who see the world in radically different ways. Trent Lott was elected to the House of Representatives in 1972, and to the Senate in 1989, and operated inside the House and Senate at a time when bipartisan cooperation was more common. By the time he became Senate Majority Leader in 1996, however, Republicans were becoming more confrontational. I talked with Lott about growing up in the Deep South during Jim Crow, and about the controversy surrounding Virginia Gov. Ralph Northam over his wearing of blackface during medical school. Lott lost his job as the Republican leader in the Senate because of comments praising Sen. Strom Thurmond and lamenting that country would have been better off if Thurmond, a segregationist for much of his career, had become president. Looking toward 2020, Lott predicted that as of now, President Trump is in a strong position to win reelection. Only former Vice President Joe Biden, Lott said, would pose a threat. "When I got elected, I was the classic young man in a hurry. Classic," said Rep. Patrick McHenry, a Virginia Republican and one of the Republican Party's top leaders in Congress. "I can see it vividly. My first three years I did everything wrong you can do wrong as a member of Congress that is neither unethical nor illegal ... I was going to be a warrior, without regard for fighting what. Basically I’m going to fight Democrats." McHenry was elected to Congress at age 28, but he is now 43, and ascended into a top leadership position four years ago. When the GOP was in the majority, he was chief deputy whip, the Republican in charge of knowing whether former House Speaker Paul Ryan had enough votes to pass key pieces of legislation. McHenry is a fan of the paradigm that Yuval Levin has laid out on this podcast before, the idea that while we often treat institutions as platforms for self-promotion, we will accomplish more and be more fulfilled if we approach institutions as molds, organizations with a mission larger than ourselves that we can join, serve, and be formed by in the process. In this episode, McHenry talks about the lessons he learned that transformed his approach to being a member of Congress. It took him four years to undo the damage he had done in his first three, he says, and it’s a lesson he tries to convey to new members now as they enter the House of Representatives. You can read the 2005 profile of McHenry that I talk about in the intro here. An update on where I've been for three weeks, and on the release of my new book today. And then I share a few clips from my 2015 interview with Joe Biden for the book. When I went back through the interview recently, I realized he was just as nervous about Elizabeth Warren then as he might be now if he runs for president. I wrote about the Biden & Warren tensions here. BOOK STUFFf: here's the link to the Amazon page for CAMELOT'S END. Here's the link to my interview on Fresh Air last week. Info on my author appearances is at jonwardwrites.org. But I'll be at Politics and Prose tomorrow, then Carter Library Thursday the 24th, in NYC on the 28th, and at East City Books on Jan. 30. Albert Mohler is president of Southern Theological Seminary in Louisville, the flagship training ground for the Southern Baptist Convention, which is one of the largest evangelical denominations in America, with roughly 42,000 congregations across the country and 15 million members, though Sunday attendance is estimated to be far less than that number. Mohler and Southern released a 67-page report titled, "Report on Slavery and Racism in the History of the Southern Baptist Theological Seminary.” The report was the result of a year-long study by six-member committee into the seminary’s history, going back to its founding in 1859. Among the report’s findings: Southern's four founding faculty members all owned human beings — 50 in all — and abused them as slaves. What prompted this study? What does he make of criticism that the study should not just have stopped in 1964, but should have commented on matters of racial justice in our current moment? And has all this introspection caused Mohler to question his views on other topics, such as the ordination of women? You can read Southern's report here. Mohler's statement from May 2018 on the "Humiliation of the Southern Baptist Convention" is here. Mohler's account of how he changed his mind about the ordination of women to positions of leadership is here. And there is a lengthy profile of Mohler in Christianity Today from 2010 that is here, though it requires a subscription to read. Ron Shaich, the founder of Panera Bread, the ultra-successful fast-casual chain, resigned from his CEO job in 2017 and is now talking more about what he sees as one of the unique plagues in American business, as well as politics: short-term thinking. We talk in this conversation about how Shaich, a college student with no interest in business, got interested in his line of work, and how his lessons learned in business apply to business. We also touch on whether Shaich himself, who spoke recently at a political event in New Hampshire -- a key presidential primary state -- has any interest in running for office himself. We talk about his time working on political campaigns in the 1980 cycle for a Democratic consultant, which I found fascinating. Of President Trump, Shaich is critical, but he told me he has "profound respect for those that are voting for Trump [and] for what they're trying to communicate.” But, he says he thinks Trump is doing a “poor job of delivering” for the people who voted for him. Michael Bennet is a 54-year old Democrat from Colorado who was elected to his second full term in the U.S. Senate in 2016. He's deeply disturbed by the demise of the Senate, but he told me he doesn't think the Senate can be fixed from the inside. He said running for president may be one way to try to reverse the decline of American political institutions. "There is not a substitute toward trying to ... build pluralistic constituencies that will support the kind of change that we need to make ... You need to engage people in their living rooms to do that and maybe people running for president can engage people to do that. I think you can do it when you're in the Senate as well ... You need to be willing not to believe that you always have a monopoly on wisdom." The New Yorker profile of Bennet from 2007 is here. A 2010 profile of Bennet in the Denver Post is here. And here's a 2009 Rocky Mountain News profile. Andrew Sullivan was editor of The New Republic from 1991 to 1996, and has been a pioneer in more than one sense. He was one of the first writers to start blogging, launching The Daily Dish in 2000 and becoming one of the most widely read and influential bloggers in the country. And of course, Sullivan wrote the first major article in an American magazine — in 1989 in the New Republic — advocating for gay marriage, and was one of the most important figures to make the case — controversial at the time among both mainstream culture and in the gay community — for marriage equality. But he has also angered some in the gay community by arguing against hate crime laws, defending the right of religious conservatives to express their belief that homosexuality is a sin, and by saying things like, "the gay rights movement needs to just pack up and go home. I think we're done,” as he did in this conversation. Sullivan wrote for New York Magazine last month about the loss of faith in our politics system, a problem that continues to grow. And we talk about that and touch on what’s going on right now in Wisconsin, where the Republican Party is retrofitting the results of the fall elections by passing laws to take power away from Democrats set to take the governor’s and attorney general’s positions in January. But Sullivan also feels that free speech, and his ability to provoke and debate and speak his mind, is under attack from identity politics. We start out talking about Sullivan's most recent New York column, where he talked about the ways that the collapse of Christianity in America has created a religious right that is folded into a cult of personality around President Trump, and a social justice left that seeks to imbue politics with the same sort of higher meaning that religion has traditionally provided. "Both cults really do minimize the importance of the individual in favor of either the oppressed group or the leader," he wrote. Last Tuesday, a group started by Stacey Abrams filed a 66-page lawsuit in federal court that listed all the ways in which the Democratic candidate for governor and her allies say Republican Secretary of State Brian Kemp, who is now governor-elect, intentionally created “an obstacle course” for voters of color. For this episode, I spoke with Lauren Groh-Wargo, who was Abrams’ campaign manager during the election and is now the CEO of Fair Fight Georgia, the group that brought the lawsuit. Here's a link the lawsuit. You can watch Abrams' interview with Jake Tapper here. There’s plenty more to do about political parties, and I’ll dip into that topic from time to time. But it’s a good time to move into other topics as well. I’ve done a little of that already. Going forward, however, the podcast will shift a bit from a primary focus on political parties to a focus on short-termism vs long-term thinking. And I’ll be looking at a number of different institutions: Congress, business, the media, the vote, the courts, and others. On Tuesday voters will go to the polls to choose candidates for Congress, for statewide office, and in local elections. Here's a look back at the biggest moments that shaped the last 22 months since Donald Trump was elected President. February 17, 2017 - "The Enemy of the People"
We often refer to American politics now as a circus. But it's a carnival ride that best illustrates the gravitational forces that created the mess we've made of our politics. Everything now is centrifugal — pushing us away from one another and away from the center — with almost zero countervailing force. Our loss of imagination for how to overcome challenges through working with others, and how our ideas about influence are too narrow. How this lack of creativity is fueling the dysfunctional politics we see playing out. The twin hammer blows that have weakened political parties in America, which used to balance our healthy push toward individualism. Reforms to party primaries were intended to democratize our elections, but have made them less democratic. The current system holds the majority of Americans in the "exhausted middle" hostage to the minority of Americans on the extremes of left and right. A push for greater voting rights could be combined with changes to our primaries. The sound clip of an amusement ride with voice at the beginning is from a wonderfully strange short film I found called "The Centrifuge Brain Project | A Short Film by Till Nowak." The song used in the interludes, and at the end, is "Red Hook (Live at the Jazz Standard New York, 2017)" by Jakob Bro, Thomas Morgan & Joey Baron from the 2018 album, Bay of Rainbows. CBS News&apos; Major Garrett on his new book, "Mr. Trump&apos;s Wild Ride"
If you want to read a book about Trump and discuss it with someone who sees the president differently than you, this is the book to buy. “Mr. Trump’s Wild Ride: The Thrills, Chills, Screams, and Occasional Blackouts of An Extraordinary Presidency,” by CBS News’ Major Garrett. He’s the chief White House correspondent and host of “The Takeout” podcast. It’s a book that is often critical of Trump but in a way that might be heard by Trump supporters. And it’s a book that confronts Trump critics with the reality that the president has had some accomplishments, as much as they often don’t want to admit it. Garrett often finds that Trump’s accomplishments are far less than what the president has said, or will have negative impacts that his supporters are not aware of. But he doesn’t shy away from thinking about the Trump presidency as consequential. 5:10 — Why he wrote some passages from the point of view of Trump supporters or advisers, and other passages with a more critical voice. 6:54 — Why Major wanted most of his sources to be named in the book. There is one anonymous quote in the book. 9:07 — How covering the Trump presidency has been like experiencing a form of trauma. 13:07 — Major on how there are certain things we must “appreciate” about this administration in that they are facts. That doesn’t mean one must like them, but they should be recognized. 18:11 — What did Trump voters hear when Trump talked about “the wall”? 21:18 — Why Major thinks it’s a mistake to liberally use the “racist” label. 26:30 — How American politics is more about image than fact, and has been for some time, and what electing our first “fully-formed celebrity” says about America. 28:54 — Major talks about hearing that Bob Woodward’s book would be released one week before his, and what he thinks his book does that Woodward’s does not. 31:56 — Major talks about his chapter on Trump’s relationship with Saudi Arabia and his interview with Jared Kushner about his relationship with Crown Prince Mohammed bin Salman, and how all of this has impacted the U.S. government’s response to the apparent murder of journalist Jamal Khashoggi. 44:37 — Major on his chapter about regulation, and how Trump’s own budget office has found that regulations provide order for markets and often bring positive economic impact that outweighs the economic cost of the regulation by between 3 to 8 times as much. 47:45 — How the GOP tax bill is likely a temporary sugar high for the economy that is contributing to unsustainable debt levels. 59:06 — What happens if Democrats take the House in the midterm elections on Nov. 6? The race for governor in Georgia is intense. You could script a full Netlix mini-series around the two main characters and the history between them. But when Secretary of State Brian Kemp, the Republican candidate, denounced critics this week who say he's suppressing the black vote, he resurrected an old term that carries a lot of baggage from the deep South's dark segregationist and Jim Crow era. Outside agitators. That's what Kemp called his detractors. Here, I explore the history of that term, and of the events that brought this election to this point. 15:35 - “The first time I ever thought critically about Facebook …"
21:27 - Why Danah Boyd refused to use Alex Jones’ name in her ONA talk. 23 - What is a "data void" and how do bad actors exploit them? 29:22 - How the term “incel” has been one way that online radicals have manipulated media organizations and journalists. 31:35 - "It is a really tricky concept for a lot of journalists to think that they own the story." 42 - Why it’s a problem for the media that most people don’t know journalists, because local media has collapsed. 46:30 - How BuzzFeed has tried to balance being a guide and a gatekeeper, and how publishing the Steele dossier fit into that. 10 Years Since the 08 Crash, Are We Ready For The Next Big Crisis? 10 years ago, the American economy was on the edge of Freefall. A divided government overcame partisan differences to work together, in an election year. We talked to former Treasury Secretary Hank Paulson, then-House Speaker Nancy Pelosi, and many others, to get their take on whether our political system now is ready for the next crisis. Click here to read the piece by Andrew Romano and I on why we may not be prepared to respond to the next big crisis, and why. Sen. John McCain passed away one month ago at the age of 81. He was an American hero. In 2013, I interviewed him in his Senate office to talk about his place in history. I wrote a profile for The Huffington Post, which you can read here. But now I'm releasing the audio of the interview for the first time. "Our system doesn't depend on our nobility. It accounts for our imperfections, and gives an order to our individual strivings that has helped make ours the most powerful and prosperous society on earth. It is our responsibility to preserve that, even when it requires us to do something less satisfying than 'winning.' Even when we must give a little to get a little. Even when our efforts manage just three yards and a cloud of dust, while critics on both sides denounce us for timidity, for our failure to 'triumph.' "I hope we can again rely on humility, on our need to cooperate, on our dependence on each other to learn how to trust each other again and by so doing better serve the people who elected us. Stop listening to the bombastic loudmouths on the radio and television and the Internet. To hell with them. They don't want anything done for the public good. Our incapacity is their livelihood. "What greater cause could we hope to serve than helping keep America the strong, aspiring, inspirational beacon of liberty and defender of the dignity of all human beings and their right to freedom and equal justice? That is the cause that binds us and is so much more powerful and worthy than the small differences that divide us." Closing song: "Mama's Room," by Nick Cave & Warren Ellis, from the soundtrack to "Hell or High Water"
"In the pitiful early hours of Election Night [it] was the only credible resource Trump advisors had." That's CBS News' Major Garrett's description of the Republican National Committee's data and analytics apparatus, which was loaned out to the Trump campaign in the latter half of 2016. Newt Gingrich says Trump, who had no serious campaign of his own, would not have won without it. The work of building the RNC's data and ground game began four years earlier, and was overseen by Mike Shields, the chief of staff from 2013 to 2014. But Shields says that as he did that job, he realized he was doing more than trying to help the GOP beat the Democrats. He was trying to save the RNC from total irrelevance. My conversations with Shields in 2013 and 2014 were some of the first steps in my journey of beginning to think about political parties in a new light. We talk about what a party is, what a party committee should do, and how President Trump has stopped talking about a "red wave" because he finally listened to operatives who told him he was going to depress Republican turnout. I interviewed Shields in October 2013 and wrote about it here. I wrote about the RNC's efforts in April of 2014 at this link. Here's my piece on election night in 2016 on how the RNC's data operation helped Trump. It’s intriguing to wonder what might have happened to the Republican Party if Mitch Daniels had run for president in 2012. He was finishing up his second term as governor of Indiana, and was widely respected for the job he’d done. He was articulate, thoughtful, and had a wide breadth of political experience, having served as White House budget director under George W. Bush, and as a high-level political operative for years prior to that. Mitt Romney won the nomination that year, but struggled as a campaigner against President Obama. Would Daniels have done any better? It’s quite likely. And if he had won the presidency, the Republican Party would have been led by a politician who downplayed social issues, rejected grievance politics, and focused like a laser on fiscal responsibility (even if that meant increasing revenue through tax increases). Daniels ultimately chose not to run, largely because he and his wife did not want to revisit painful periods in their marriage under the scrutiny of the nation. By all appearances, Daniels put his family ahead of his own presidential ambitions in that moment. And for five and a half years now, he has been president of Purdue University. I asked Daniels to come on the podcast after reading his commencement speech to this year’s graduating class at Purdue, where he exhorted the students to push back against growing tribalism in this country. "Life in a tribe is easy, in all the wrong ways. You don’t have to think. Whatever the tribe thinks is right, whatever the other side thinks is wrong. There’s no real responsibility; just follow what the tribe, and whoever speaks for it, says to do,” Daniels told the students. And he said that “tribes always gravitate toward tyrants.” I asked him to explain that comment, and we talked about his belief that healthy institutions protect the most vulnerable from injustice, and the nation from violence. We also talked about whether he regretted his decision not to run for president. Tech pioneer and analyst Jaron Lanier recently echoed some similar themes on Ezra Klein's podcast: "The way you become a autocrat or a dictator is you get everybody into pack mode, and you get them all afraid that they’ll all end up at the disadvantaged slot, that they’ll be the one who’s humiliated, the one who the pack turns on. And then everybody has to get in line," Lanier said. Here is the Al Hunt article in Bloomberg News where Daniels was quoted as saying he felt politically "homeless." "And by failing to see the formative purpose of institutions, we undermine that purpose, and so we advance an idea of institutions as not molds but platforms, and contribute to a set of social transformations that tend to separate people in the very attempt to unite them, to undermine our aptitude for freedom in the very act of liberating us, to eat away our capacity for patient toleration, our decorum, our forbearance, our restraint; to cause us to mistake expression for reflection, affirmation for respect, reaction for responsibility, and empty celebrity for an earned reputation." Yuval Levin is editor in chief of National Affairs, a right-leaning quarterly journal. He is a fellow at the Ethics and Public Policy Center. And he is the author of four books. In April, he delivered three lectures at Princeton University as part of its Charles E. Test, M.D., Distinguished Lectures Series. Yuval titled his talks, "Why Institutions Matter: Three Lectures on Breakdown and Renewal." The videos of the lectures can be viewed by clicking on this link. You can listen to my first interview with Yuval for the Long Game podcast, on July 19, 2017, by clicking here, or on iTunes here. I talk with Adam Wren about what it's like to be a journalist entrepreneur, covering national politics from the Midwest while also starting a state news-focused newsletter. And Adam shares his observations of Vice President Mike Pence, and how the Indiana Republican establishment is now shaping the future of America. And we talk about our mutual experiences writing profiles of Indiana Senator Joe Donnelly, a Democrat who's up for reelection this fall. I’m beginning to think that ranked-choice voting might be a way for voters to exercise quality control in a party primary in a way that party bosses used to. The way it works, if no one gets 50 percent then the candidate with the least support gets eliminated, and the votes they got go to the candidates who their supporters ranked second. In 2016, Donald Trump won most GOP primaries with 30 to 35 percent, meaning that 2/3 of Republican primary voters wanted another candidate. How many of those voters do you think would have ranked Trump second? And there is a fight over ranked choice voting happening right now. It is being used for the first time in a statewide election tomorrow, June 12, in Maine, in primary contests for Congress and governor. Lee Drutman, of the New America Foundation, joins me to talk about it. Here's a good New York Times piece on how ranked choice voting works. And here's a good NPR report on what's happening in Maine. Lee's piece on multi-member congressional districts is here. David Brooks praised Lee's idea in this piece. Here's a link to the Jennifer Lawrence ad supporting ranked choice voting. Voters in five states will go to the polls today to vote in primary elections, but in California, Democrats are facing an unexpected challenge. They need 23 seats to retake control of the House of Representatives this fall, and there are as many as 6 or 7 seats in California alone that are prime targets for flipping from Republican to Democrat. But because of California’s unique rules for primaries — crafted with the intent to increase participation and fairness — the very intensity of enthusiasm among Democrats in the Trump era might be their undoing. Amy Walter, National Editor at the Cook Political Report and host of WNYC radio’s The Takeaway Fridays, talks about how this reform -- like so many others -- has had unintended consequences. Here's Amy's piece on the California primary, "The Party *Doesn't* Decide," in the Cook Political Report. Here's Amy's colleague, David Wasserman, with a more detailed piece on the districts in which Democrats are in danger of being shut out. Here's the piece by Jonathan Rauch that Amy references during the show: "How American Politics Went Insane"
AB Stoddard, associate editor and columnist at Real Clear Politics, has been a working journalist for two and a half decades. She started covering Congress in 1994, and so she has seen the institution go through most of the big changes that have turned it into such a dysfunctional place. We talked about her work with the group No Labels to get rid of the Hastert Rule in the House, about her father's role in bringing "Roots" to television, and about how she's balanced motherhood with her career. "At some point, they need to channel that energy into really tangible electoral activity if they're going to actually get power back from Trump and the Republicans, and to do that, the best place for that is two political parties and working in concert with our candidates up and down the ballot ... I believe that political parties matter, that they still matter. They're very important, and I would say, in a weird way, probably even more important now, as you start to think about the outlets for all of this energy out there," said Martin, the chair of the Minnesota Dems (the Democratic-Farmer-Labor Party) and Vice Chair of the Democratic National Committee. We talk super delegates, caucuses, and how the Democratic party grew weaker under Obama. Tim Roemer is a former Indiana congressman and was President Obama's first ambassador to India. He now represents a group that believes American democracy is broken and is trying to bring Republicans and Democrats together to fix it. Issue One is working on Capitol Hill with lawmakers to push a handful of reforms. One would require the largest digital platforms such as Google and Facebook to disclose and publicize any entity that pays more than $500 to promote its content online, with an aim toward shining a light on any attempts by foreign entities to influence American politics. We talked about what it means to him when we say that money in politics is a problem, and what the solution is. “The angrier the electorate, the less capable we are of finding common ground on policies, or even of treating our opponents like human beings," a political scientist wrote recently. Reed Galen is trying to start a new political party that is built on the belief that American politics has to restore the dignity of every person as one of its foundational principles. Reed is the chief strategist for the Serve America Movement, an organization started in 2016, which is building organizing infrastructure in a handful of states this year with the goal of being ready to spring into action if a legitimate independent candidate for president runs in 2020. We talked about the group's origins and its plans for 2018 and 2020. Joel Searby, a former adviser to Evan McMullin's presidential campaign, is now trying to persuade a group of senators -- whom he would not name -- to form a caucus that would elect a bipartisan slate of leaders in the Senate next January. We talked about this effort, as well as his reflection on the McMullin campaign and why it’s still deeply in debt, and on the introduction of ranked choice voting in Maine. Embattled Missouri Gov. Eric Greitens is a textbook case, like President Trump, of the danger of political parties losing control over their primaries. When Greitens ran for governor in 2016, he promised in a TV ad to “take dead aim at politics as usual” and then shot a machine gun at a target that exploded and sent flames high into the air. The only thing exploding now, however, is his political career and the Missouri Republican Party with it. Read more of Jon Ward's article on this story at Yahoo News here. Matt is one of the best journalists in America. He's a weekly columnist at Yahoo News and author of two books, "The Argument," and "All the Truth is Out." His second book has been turned into a major motion picture, starring Hugh Jackman, and titled The Frontrunner, in theaters this year. Matt's column this week was a response to the piece I wrote that grew out of this podcast. My piece was published Tuesday, and called, “Power to the party: Why political reforms can be bad for democracy.” Matt’s response to this was called, "We need stronger candidates, not stronger parties.” Matt writes that he’s long been a skeptic of political parties, and that just because Donald Trump has been a destructive outsider, that doesn’t mean non-politicians who run for office have to be negative forces. "I still believe that an unconventional campaign — a candidate respectful of governing expertise, but determined to rethink how we use it — can be the thing that restores our faith in public life,” he writes. If you're a new listener and wonder what this show is all about, this episode will get you caught up. I go back through why this podcast exists, and what each guest has talked about. There are clips of the most important portions of each show, and the most robust explanation to date of why this podcast exists. 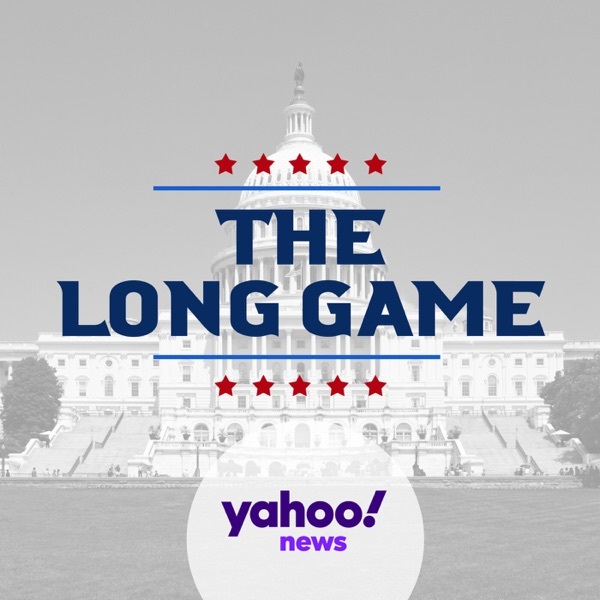 Here is the first episode of The Long Game, which uses the convention as its jumping off point. Audio of David Axelrod full interview with Chris Wallace, from January 12, 2017, is here, and transcript is here. Here is the link to the July 14, 2016 episode of Slate’s Political Gabfest, with David Plotz, Emily Bazelon and John Dickerson. Video of the event at the American Enterprise Institute, with EJ Dionne, Norm Ornstein and Thomas Mann, is here. Steven Levitsky, author of "How Democracies Die"
Steven Levitsky is professor of government at Harvard University. He has spent most of his life studying Latin American politics and history, with a focus on political parties, authoritarianism and democratization, and weak and informal institutions. In 2018, he and fellow Harvard professor Daniel Ziblatt, an expert on democracy in Europe, wrote a book called "How Democracies Die." Here, Steven and I discuss what he means when he calls political parties the "gatekeepers of democracy," and why the Democrats reduction of superdelegates in their presidential primary may have unintended negative consequences. Steven Levitsky's personal page at Harvard is here. Reviews of the book by Jennifer Szalai in the New York Times and by Yuval Levin in The Weekly Standard. Dan Koch, host of the Depolarize podcast, joins me to talk about his thoughts while reading "How to Think," by Baylor literature professor Alan Jacobs. I wrote this at the 2016 Republican convention: "The Cleveland convention is ratifying the GOP’s loss of party power." My piece on The Centrist Project from April 2017 is here. Seth wrote about The Centrist Project in June 2017. That piece is here. My more recent piece on Unite America, the new name of what used to be The Centrist Project, is here. I'm introducing a new feature to The Long Form podcast, where I'll post short interviews with friends and public figures about the book that they are in the middle of. I don't want polished hot takes about a book someone has finished and fully digested. I want mid-process description of what sparks are flying around people's heads midstream through the book. And I love to know the backstory of how and why people start books. What intrigued them? What attracted them? And what are they getting out of it right now? I'm starting out with a look at one of the books I'm reading, "12 Rules for Life" by Jordan Peterson. He's a psychology professor at the University of Toronto who has developed a cult following particularly among young men. I think after listening to this you'll have a better understanding of why. Anthony Bradley tweet thread on why young men are into Peterson. "The Voice Evangelical Men Wish They Had," by Anthony Bradley in Fathom Magazine. James K.A. Smith tweet about Peterson's "manhood-under-attack" "myth"
Vice segment on Peterson: "Jordan Peterson Is Canada's Most Infamous Intellectual"
Extended clip of Jay Kang interview with Peterson. Video of Peterson's complain about the Vice interview. He thinks machine politics is a distraction. Norm Ornstein has a different take from Jonathan Rauch and Elaine Kamarck on why our politics is broken. Ornstein believes increasing voter participation and reducing the role of money in politics are better goals, and that the Republican Party is far more of a culprit in creating dysfunction than are the Democrats. Ornstein, a resident scholar at the American Enterprise Institute, wrote a book late last year with Thomas Mann and EJ Dionne called "One Nation After Trump." Opening and closing song: "Mass Appeal" by Gangstarr. Norm's book from 2012, co-written with Thomas Mann and EJ Dionne, updated in 2016: "It's Even Worse Than It Looks Was: How the American Constitutional System Collided with the New Politics of Extremism." Norm's book from 2006, co-written with Thomas Mann: "The Broken Branch: How Congress Is Failing America and How to Get It Back on Track." The paper by Jonathan Rauch and Ben Wittes from May 2017: "More professionalism, less populism: How voting makes us stupid, and what to do about it." Rauch & Wittes were responding in part to this paper from June 2015, by Mann and Dionne: "The futility of nostalgia and the romanticism of the new political realists." And here's Elaine Kamarck's paper from April 2017: "Re-inserting peer review in the American presidential nomination process." The exchange between Ornstein and Senate Majority Leader Mitch McConnell, R-KY, at the beginning can be viewed here, and you can read about it here. My profile from December on Warren Throckmorton, the evangelical professor who turned against 'reparative therapy' for gays. My profile from September on Jemar Tisby, an African-American Christian living in the Deep South whose outlook on racial reconciliation darkened after the election of Donald Trump. "When politicians can't get anything done, it breeds distrust. It breeds anger ... The weakening of parties ... most people think it's a good thing," Elaine Kamarck says. But, she warns that "the weakening of parties has meant the weakening of government. People don't like that, but very few people see the connection between political parties and government." Kamarck, a Brookings Institution senior fellow and a Democratic National Committee member and superdelegate, talks about her proposal to have a party gathering prior to the presidential primary to vote on potential candidates. But she says she doesn't care if superdelegates go away. She also says she doesn't fault Reince Priebus for not doing more as RNC Chairman to block Donald Trump from the nomination. Episode 1 explained how I got interested in the topic of institutions by asking myself why the Republican Party was powerless to stop Donald Trump. Episode 2 explored the question, “What are institutions and why are they important?” Episode 3 looked at ways in which institutions can be harmful. This 4th episode is the first of a few that will look closely at the specific institution of political parties. "Kindly Inquisitors: The New Attacks on Free Thought"
"Gay Marriage: Why It Is Good for Gays, Good for Straights, and Good for America"
"Denial: My 25 Years Without a Soul"
"Political Realism: How Hacks, Machines, Big Money, and Back-Room Deals Can Strengthen American Democracy"
"More Professionalism, Less Populism: Why Voting Makes Us Stupid and What To Do About It"
Jemar Tisby is one of the more compelling figures I am aware of when it comes to race and Christianity in America. He is the president of the Reformed African American Network, and is obtaining a PhD in the history of race and religion at the University of Mississippi. Jemar is on a "journey to figure out how … social justice and historic Christian faith connect: how faith catalyzes justice." And while he believes his faith identity transcends skin color, he rejects the idea that white and black Christians -- in particular -- should avoid or bypass the hard conversations that need to take place about racial justice and white supremacy in America today. I wanted to get his take on institutions early on in this podcast to help us think critically about the topic. We may need to regain an appreciation for the good institutions can do, but we need to remain clear-eyed about the injustice that can also be perpetrated through them as well. President Trump, Levin says, is a vivid example of someone who views institutions this way, and as a result, has hindered his ability to be successful. Trump has behaved not as a president would, but as a "performance artist," Levin says. In this inaugural, introductory episode, I tell the story of standing on the floor of the Republican convention in Cleveland as the GOP squashed an anti-Trump rebellion. It caused me to start thinking about the role of institutions like political parties. I explain why this podcast exists, how I'm going to structure it, and how I got interested in the topic. Secretary of Defense Jim Mattis recently said that the biggest threat to the country is not ISIS or Russia or terrorism, but "the lack of political unity in America." The disunity we are now experiencing is increasing the massive distrust of institutions that in many ways is what brought us to this point. The question is, where do we go from here? We can't go back in time, but what lessons does our history hold for us?